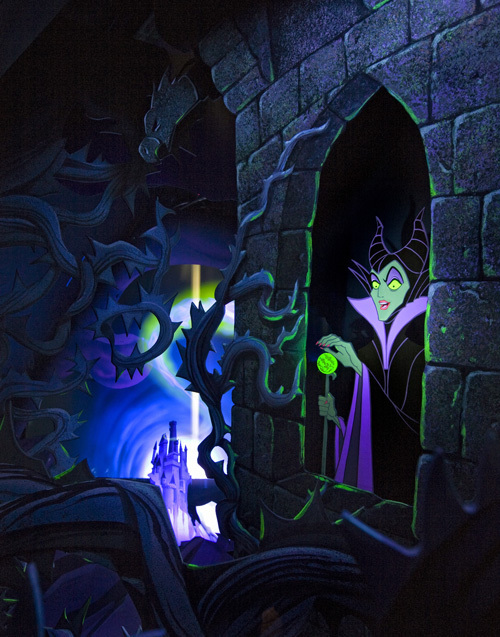 Maleficent. . Wallpaper and background images in the डिज़्नी के खलनायक club tagged: disney villain villains sleeping beauty maleficent. This डिज़्नी के खलनायक photo might contain रंगीन काँच and सना हुआ ग्लास विंडो.